I talked about the Email Subscribers WordPress Plugins. There are many WordPress plugins, which let you create beautiful Email opt-in form, to get more Email subscribers. Most of these below listed Email subscription plugin supports modern Email marketing services. This plugin gives your biggest fans another way to keep up with your content feed by placing an email subscription form on your site. The email subscription uses the Feedburner RSS driven service to fetch your site content, and deliver it to your subscribers. Easy to use and customize, just put your Feedburner site name and you are ready to launch. Email content sent automatically by Feedburner. Create and send newsletters, automatic post notifications and autoresponders that are modern and beautiful with our unique newsletter editor. Drag and drop images, text areas, buttons, social icons, posts and more. Add a signup widget to your website, manage your subscribers, and send fresh, modern newsletters all within your wordpress admin area. Mailchimp Subscription is simple plugin to render Subscription Forms on your WordPress Blog/Site. It pulls all Mailchimp Lists from your Account and allow admin to create Forms using Vars and Interest Group with Awesome AngularJS based Admin panel. OSD Subscribe is a simple and highly flexible email subscription plugin. OSD Subscribe allows you to modify the content before and after the subscription form, create pages for subscription confirmation and unsubscription, modify error and success messages, completely customize the email templates, and have different subscription forms for different categories on different parts of your site. OSD Subscribe can be used as a widget or as a shortcode, so there is no place this plugin can’t go. In addition, OSD Subscribe provides a filter for users to completely customize the layout of the form. Email marketing is still one of the best ways to drive traffic to your website. You can use this WordPress plugin to add a MailChimp subscription form below your blog, right in your articles or on other places using the widget. The Ajax technology takes care about that visitor doesn’t have to leave your website while the form data gets submitted. 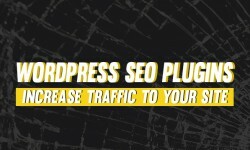 The idea for this plugin came up because I created a new mailing list for my website. By using the RSS-driven campaign feature from MailChimp, it’s possible to send new blog posts to my website’s subscribers. Wp Email Subscription is plugin that can be use as newsletter subscription.This is very easy to use plugin.Just set how many times newsletter modal appear when user enter to site.admin can also use this plugin as widget.Admin can also set link for newsletter signup.When click on link the modal popup of newsletter signup will appear.This plugin provide full customization of each and every lables messages and error messages.This plugin can be used for any website localization.